The saying goes: “Keep Portland weird.” So of course there are creative authors in the unique Oregon city. While authors aren’t busy frequenting Timbers and Trail Blazers games, or taking a quick trip to the famous Oregon coast, they’re writing. Peanut Butter publishing or Classic Day publishing proudly services the Portland metro area and writers reach out to us when they’re ready for their voices to be heard and their stories to be shared. Taking the first step towards publishing aspirations is hard, but we can help you take it, and the next step and the one after that too. We a re proud to say that this book was one of the top selling on Amazon Kindle. It’s a beautiful story and reveals many truths. Framed in the historical time line from Hitler’s rise to power and the end of the Nazi regime thirteen years later was a Jewish family, with two young sons, living in Berlin. With the clouds gathering, they realized they had no means to leave and therefore must ride out the storm. Their hopes faded as stricter restrictions were placed on them and the bullying and hatred of the Jews intensified. Suddenly, Kristallnacht erupted and the numbers of killings and deportations surged. The family was repeatedly pushed deeper into the neglected ghettos, and the father was forced into slave labor. 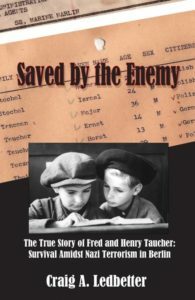 The Nazi SS was assigned the task of making Berlin—the center of Hitler’s growing evil empire—Judenfrei (Jewish free). The mother and children had no choice by to flee the terror when it finally arrived at their door; it was already too late for the father. Running into the night, with no other options, the mother contacted a woman who might be either a friend or an enemy. Peanut Butter publishing or Classic Day publishing published this book for authors in Oregon’s southern neighbor, California. This book has been and is still in high demand. The extremely intelligent and educated authors created a book that is helpful in hospitals and homes. This book addresses these three very important questions: What practices and policies best promote safe, healthy, satisfying labor and birth? What harms do routine or frequent use of tests, procedures, and restrictions introduce? What nonmedical factors drive the current maternity care system? All readers who are planning to start a family and in the maternity care field should read this book. It pulls back the curtain on medical-model management of childbirth. It’s written for those who want to practice according to the best evidence, assist women in making informed decisions, or advocate for maternity care reforms. 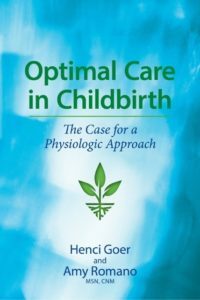 This book provides an in-depth analysis of the evidence basis for physiological care as the standard of care. Many come to Peanut Butter publishing or Classic Day publishing to show their appreciation and love for someone lost. A high quality book that lasts years and years and can be passed on from one generation to another is a relic worth pursuing. Who wouldn’t want a book written about their great-great-great relative? 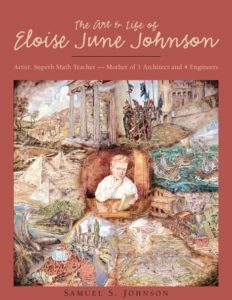 This book is a biography of Eloise June Johnson, but it also features 36 paintings by her with each one having a write up to explain it. This book is beautifully displayed in full-color and oversized. Books are art, and we treat them as such.